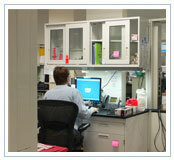 Shortages of laboratory professionals exist in almost every part of the country. At the same time, the Bureau of Labor Statistics projects that by 2014 the United States will need 81,000 additional medical technologists and medical technicians just to replace retiring staff and another 68,000 to fill newly created positions. 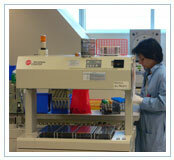 Nearly 44 percent of responding laboratories reported difficulty filling medical laboratory personnel positions. 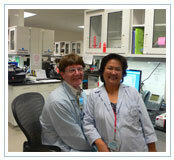 On average it takes more than two months to fill medical technologist, histotechnologist, and cytotechnologist openings. 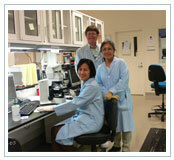 Right now there is an exceptionally high vacancy rate of 30% for histotechnologists alone. To complicate matters, the impending retirement of thousands of baby boomers is threatening to transform a serious personnel shortage into nothing less than a national healthcare crisis. If you are fascinated by the science of the human body, like to problem-solve and want to enjoy the challenges and rewards of medicine and science, Clinical Laboratory Sciences is the career for you. 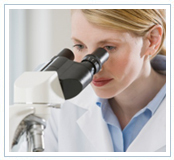 The Bureau of Labor Statistics of the U.S. Department of Labor projects that the employment of clinical laboratory technicians and scientists will increase by 10-20%. According to the Jobs Rated Almanac, clinical laboratory scientist was ranked the 3rd best occupation in the healthcare category based on salary, stress levels, work environment, security and job outlook. The future job prospects is excellent, as our population ages, diverse testing sites increase, and new specialized testing procedures are developed. 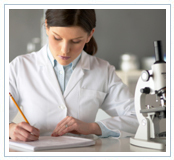 Employment of clinical laboratory professionals is expected to grow 14 percent between 2006 and 2016, faster than the average for all occupations. The volume of laboratory tests continues to increase with both population growth and the development of new types of tests. Although hospitals are expected to continue to be the major employer of clinical laboratory professionals, employment is expected to grow faster in medical and diagnostic laboratories, physician’s office labs (POL), reference laboratories and other ambulatory health care services. Job opportunities are abundant. The number of job openings is expected to continue to exceed the number of job seekers. The volume of laboratory tests is expected to increase as the population grows and ages along with the development of new types of tests. Job growth will not be the only source of opportunities, many additional openings will result from the need to replace workers who transfer to other occupations, retire, or stop working for some other reason. There is currently a shortage in many parts of the country guaranteeing employment and higher salaries. 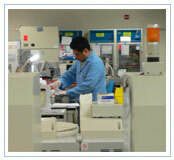 CLS graduates rapidly locate jobs in any region of the US and in foreign countries. 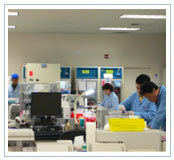 Among the many choices of practice settings are hospitals, independent reference laboratories, clinics, public health facilities, research laboratories, and medical/pharmaceutical product development and sales. With experience, clinical laboratory scientists’ career potential for growth is tremendous – progressing to become supervisors, laboratory managers and consultants. Employment of LPNs/LVNs is expected to grow 14 percent between 2006 and 2016, faster than the average for all occupations, in response to the long-term care needs of an increasing elderly population and the general increase in demand for health care services. Many procedures once performed only in hospitals are being performed in physicians’ offices and in outpatient care centers such as ambulatory surgical and emergency medical centers, largely because of advances in technology. 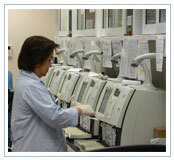 LPNs/LVNs care for patients who undergo these and other procedures. 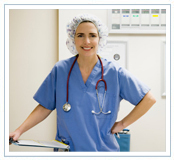 Employment of LPNs/LVNs is expected to grow much faster than average in home health care services. Home health care agencies will offer a large number of new jobs for LPNs/LVNs because of an increasing number of older people with functional disabilities and in need of long-term care, consumer preference for care in the home, and technological advances that make it possible to bring increasingly complex treatments into the home. In addition, LPNs/LVNs in nursing care facilities will be needed to care for the increasing number of patients who have been discharged from the hospital but who have not recovered enough to return home. Replacement needs will be a major source of job openings, as many workers leave the occupation permanently. Very good job opportunities are expected. Rapid employment growth is projected in most health care industries, with the best job opportunities occurring in nursing care facilities and in home health care services. Employment of registered nurses is expected to grow 23 percent from 2006 to 2016, much faster than the average for all occupations. Growth will be driven by technological advances in patient care, which permit a greater number of health problems to be treated, and by an increasing emphasis on preventive care. In addition, the number of older people, who are much more likely than younger people to need nursing care, is projected to grow rapidly.